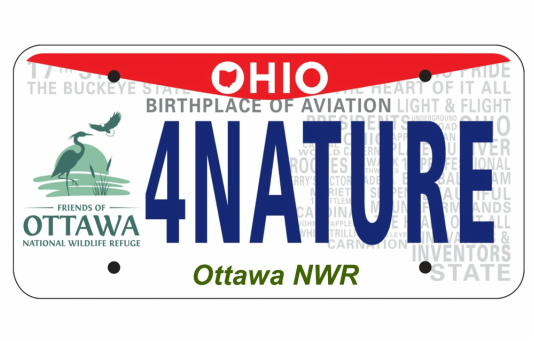 License plates; what a way to support Ohio's only National Wildlife Refuge complex! First we need to gather signatures from our Ohio visitors to show that you support Ottawa NWR. We need 150 signatures to make this dream become a reality. If approved, $15 of each license plate sold will come directly back to us. We are hoping that revenue generated from license plate sales will help us to support our refuge with land acquisition, restoration work, and desperately needed maintenance positions! Sign up in the Nature Store or mail us this form. Please fill everything out completely!